Good morning ... Come on, folks. Be better than disorderly conduct at a Cheesecake Factory. The next wave of state actions to combat the opioid crisis may focus on taxing prescription painkillers, my colleague Caitlin Owens reports this morning. More than a dozen states saw the introduction of bills to tax opioids last year, but only one — New York’s — made it into law. The New York law will collect $600 million over 6 years from drugmakers and distributors, and use it to fund addiction treatment and prevention. The next states to watch include California, Delaware, Iowa, Kentucky, Maine, Massachusetts, Minnesota, Montana, New Jersey, Tennessee and Vermont, per Kaiser Health News. 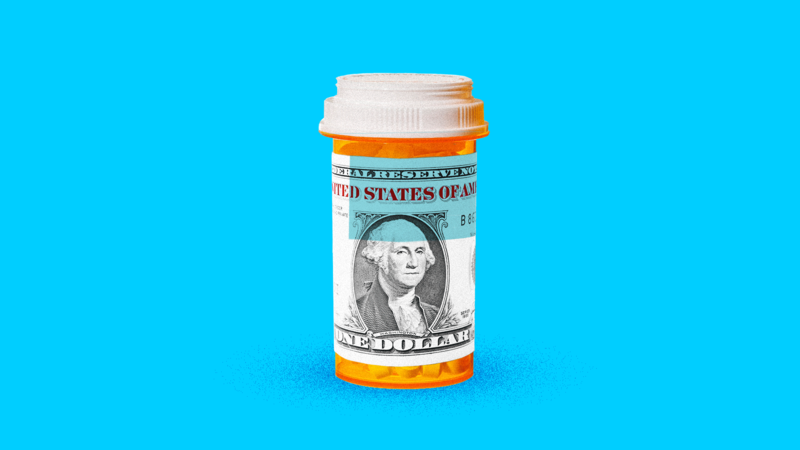 The other side: Opponents, including the pharmaceutical industry, say these taxes could make it harder for people to get the pain medication they need. Industry groups responded to New York's opioids tax with 3 lawsuits arguing that the law is unconstitutional. If they succeed, those suits could make lawmakers in other states think twice about going down the same path. What to watch: Oral arguments in the New York suits are scheduled for Monday. Public health officials — including some state and local governments — want a lot of people to be carrying naloxone, so that they can easily help save a life if they see someone who has overdosed on opioids. But people who carry it are now finding that they can't get life insurance, because the insurance companies see a naloxone prescription as a sign that you're likely to overdose on opioids. "We want naloxone to be available to a wide group of people, people who have an opioid use disorder themselves but also [those in] their social networks and other people in a position to rescue them," Alex Walley, a doctor who works on Massachusetts' anti-opioids initiative, told Boston's WBUR. "My biggest concern is that people will be discouraged by this from going to get a naloxone rescue kit at the pharmacy," Walley said. "So this has been frustrating." WBUR found multiple people who had been denied life insurance because of a naloxone prescription, including a nurse who does not use opioids but participated in a state program that involves standing prescriptions for health care professionals to fill. She has stopped carrying the drug out in public until she's able to find life insurance. AbbVie spent billions of dollars to acquire a potential cancer drug known as Rova-T, but the drug is looking more and more like a bad investment, Business Insider reports. Details: AbbVie has stopped enrolling new patients in a Phase 3 clinical trial for Rova-T, which an outside monitoring committee had recommended. The drug was intended to treat advanced lung cancer. But in the clinical trial, patients taking Rova-T were dying sooner than patients treated with standard chemotherapy, per BI. Among the hallmarks of 2018 are news items that present as feel-good stories unless you think about them for more than 15 seconds, in which case they become vividly apparent as feel-bad stories. Here’s one of them, from the New York Times. Two women in New York state have helped pay off medical debt for nearly 13,000 people, through a charity called R.I.P. Medical Debt. They raised nearly $13,000 for the charity over the summer, which then used that money to purchase and forgive $1.5 million in medical debts, covering roughly 13,000 people. Medical debt can often be purchased for pennies on the dollar — especially debts that have already passed through multiple collection agencies and have been on patients’ credit reports for years. R.I.P Medical Debt says every $10,000 donation helps pay off roughly $1 million in debt. Yes, but: “It is a drop in the bucket,” Craig Antico, one of the charity’s founders, told NYT. R.I.P. Medical Debt says it has forgiven about $434 million in debt — and that Americans owe a total of roughly $750 billion. Most people haven’t gotten a flu shot yet, and 41% say they don’t intend to, according to a new survey from NORC at the University of Chicago. More older people have been vaccinated than younger people — which is good, because older people are more susceptible to the flu virus. But getting vaccinated isn’t just about protecting yourself from infection. It also helps limit the spread of what can be a deadly virus.